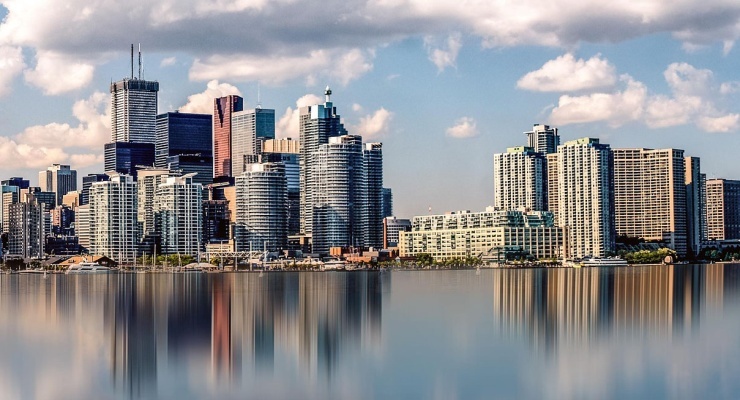 New figures released by the Toronto Real Estate Board Thursday show that, while the year-over-year numbers look dramatic, the Toronto real estate market seems to be stabilizing and even gaining strength, especially in the hot condo sector. The average sale price of a GTA home was $804,584 – a 12.4% drop from the average in April 2017 but a slight increase from the average recorded in March this year ($784,558). That marks the fourth successive month that the average sale price has increased – suggesting that the market has stabilized somewhat following the declines caused by the Ontario government’s “Fair Housing Plan” last year. Interestingly, the drop in average price was greater for more expensive homes. The average price of a detached home was down 14.4% year-over-year, semi-detached homes were down 6.4%, and townhomes were down 7.8%. Meanwhile, condos bucked the trend and there was a 3.2% year-over-year increase in the average price of a condo in the GTA. In addition to the increase in condo prices, on average condos in the City of Toronto sold for 101% of the asking price and spent just 16 days on the market. In two areas close to the downtown core the number of days on market dropped to as low as eight days. This suggests a very competitive condo market, particularly in popular areas within easy reach of downtown Toronto. It’s yet another sign of the red-hot condo market in Toronto that is only going to get hotter. There was also a small increase in sales activity compared to March but, for the fourth month in a row, there was a big year-over-year drop in the number of home sales (-32.1%). In total, 7,792 homes were sold across the GTA in April, which is the lowest total for the month of April in the last decade. That was a pattern repeated across the GTA, with most regions showing similar drops. Following the pattern of recent months, the number of active listings saw a large year-over-year increase. In April 2017 there were 12,926 active listings but that increased to 18,206 last month – a 40.8% increase. The large increases in active listings were almost universal but there were some notable exceptions. 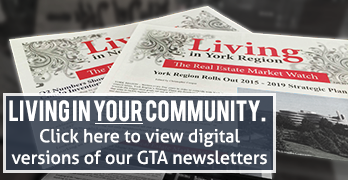 In nine of the 35 TREB-defined areas of Toronto there were year-over-year decreases in the number of active listings. These were mostly areas along the waterfront from Swansea to Riverdale and around areas in central Toronto south of Eglinton, suggesting that lack of supply is fueling some of the gains in those areas. The benchmark price tends to be a more accurate gauge of the market because it removes the skew of seasonal changes and the effects of different home types. For April 2018, the benchmark price of a home in the GTA was $830,500 – a 5.15% decrease form a year earlier. The benchmark price of a detached home fell 9.55% to $1,109,700. Semidetached homes fell 4.53% to $878,100, and townhomes fell 2.62% to $561,500. However, the benchmark price increased year-over-year for condos, rising 10.17% to $495,600. The benchmark price of condos was up in all but four areas (Aurora, Newmarket, Pickering and Whitchurch-Stouffville). In particular, the City of Toronto saw an increase of 12.35% and five areas of the city saw the benchmark price of condos rise by over 20% year-over-year!